Single-sourcing and content management are key concepts in technical writing, concepts which need to be understood and then explained to other stakeholders. This course reviews the principles of content management, information modeling and single-sourcing also introduced in courses like COMM 1260 and COMM 2206, and discusses the advantages and demands of single-sourcing within the context of the wider organization or client base. Before taking this course, students must have completed their technical elective (COMP) and introductory Technical Writing courses. Students must also have one of the following English requirements, as well as intermediate word processing skills in the latest version of MS Word for Windows: 1) English 12 "C+" or equivalent (refer to BCIT's Admission page); or 2) COMM 0015 score of 70 or better. The classes are online classes, but they are NOT self-paced: you will have readings, discussions, peer review, and assignments to complete each week as scheduled (although you do *not* have to be online at a particular time or on a particular day). Your weekly participation is essential to succeed in this course. You must have an e-mail address, internet access, and access to a computer capable of downloading documents and visiting websites. There is a required textbook for this course. You may purchase the hard copy textbook through the BCIT Bookstore website at www.bcitbookstore.ca/distance/ or as an eBook through a vendor unaffiliated with BCIT (note that BCIT is not responsible for textbooks or eBooks purchased from unaffiliated vendors and cannot offer technical or other assistance with textbooks or eBooks purchased off campus). Identify the principles, advantages and demands of the following industry terms and practices: content management, information modeling, single-sourcing and structured authoring. 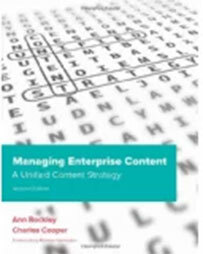 Identify tools, technology and procedures used to manage and produce single-sourced content. Review and evaluate selected tools for their suitability for proposed organizations, stakeholders or clients. Create a presentation for a defined audience recommending a single-sourcing tool and/or strategy based on suitability. Interested in being notified about future offerings of COMM 2207 - Single-Sourcing for Technical Writers? If so, fill out the information below and we'll notify you by email when courses for each new term are displayed here.